Kriti Sanon signs BR Films’ next project a love story based in a small town. Before taking off to Mauritius to wrap up the last schedule of Raabta, Kriti met with director Ashwiny Iyer Tiwari for a narration.The hunt is now on for Kriti’s leading man. We hear the makers are in talks with both Ayushmann Khurrana and Kartik Aaryan. 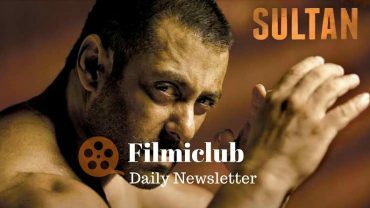 Sultan [Week 3] Fri 2.14 cr, Sat 3.81 cr, Sun 5.14 cr, Mon 1.30 cr, Tue 1.25 cr, Wed 1.15 cr. Total: 292.75 cr. India biz. ATBB. KRK: I already watched ‪#‎Dishoom‬ but I will review it tomorrow only coz I don’t want my bro producer Sajid nadiadwala to lose Coz of my review. Dishoom advance booking says that film will open 100% as per my prediction only. Advance booking good in mumbai n very bad everywhere else. Vashu Bhagnani has offered support to Eros and has funded Rs 50 crores to them for Dishoom and Banjo. Suneel Darshan in 2014 had launched his son Shiv Darshan in a film Karle Pyaar Karle, that film proved be a dud at the box office. Papa Suneel Darshan had given the son a starry launch but the film and the acting both were panned both by the critics as well as the audience. Now we hear that Suneel Darshan is producing another film for his son and is again investing big bucks in the film. aamir_khan To Replace Hrithik In Thug? Shekhar Suman alleges he was cheated of Rs. 1.18 cr by a Mumbai builder.